When you find the resource you want to link, click on the title and a new page will open. Under "Tools," click on "Permalink." A window with the permalink will open above the resource title. 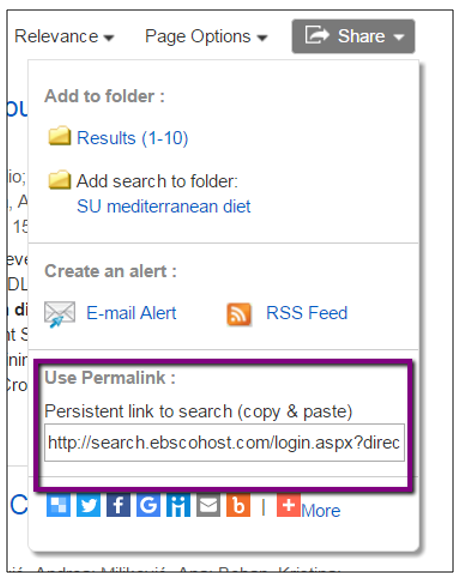 To link a results page, click on "Share" at the top of your results listing. A small window will open with a persistent link.